The late Burt Reynolds embodied classic, counterculture roles during his lengthy film career, although few were as attention-grabbing as his quarterback-turned-convict character Paul “Wrecking” Crewe in the 1974 film The Longest Yard. 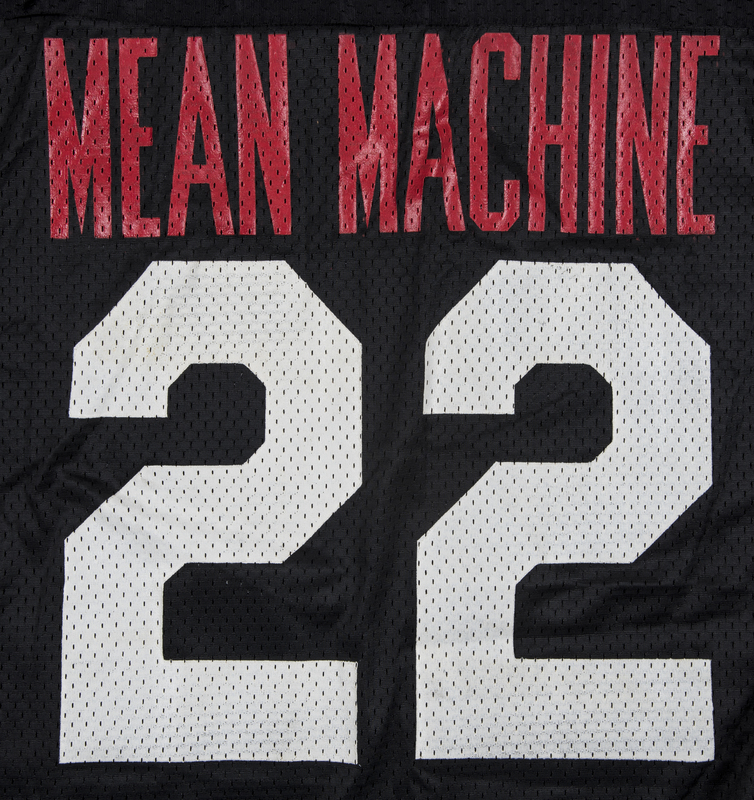 Kicked out of the NFL for shaving points and sent to prison for leading cops on a car chase, Crewe was tasked with quarterbacking a rag-tag team of convicts called the “Mean Machine” against a well-paid and well-trained team of correctional officers. Reynolds was uniquely suited to the role of Crewe, having starred for the Florida State Seminoles in the 1950’s before a series of injuries forced Reynolds to re-evaluate his career choices. His portrayal of Crewe, and the deep cultural impact left by The Longest Yard, has sparked frequent revivals of the franchise, including in both England and Egypt. In 2005, Reynolds returned to The Longest Yard in the role of Nate Scarboro, a former Heisman Trophy winner and the mentor to Adam Sandler’s Crewe. Reynolds wore this “Mean Machine” jersey on screen during the filming of The Longest Yard. 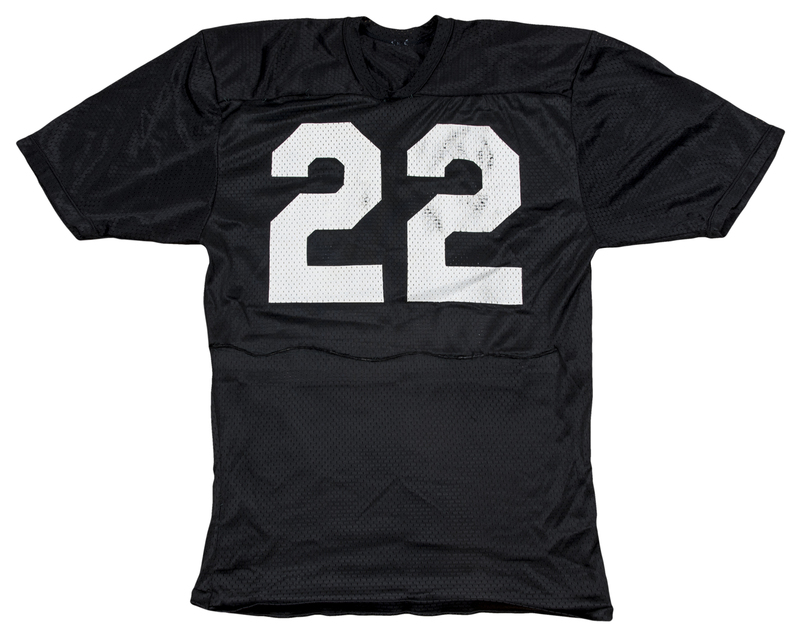 The jersey is a black mesh pullover, with the number “22” screen-printed on the chest and back. 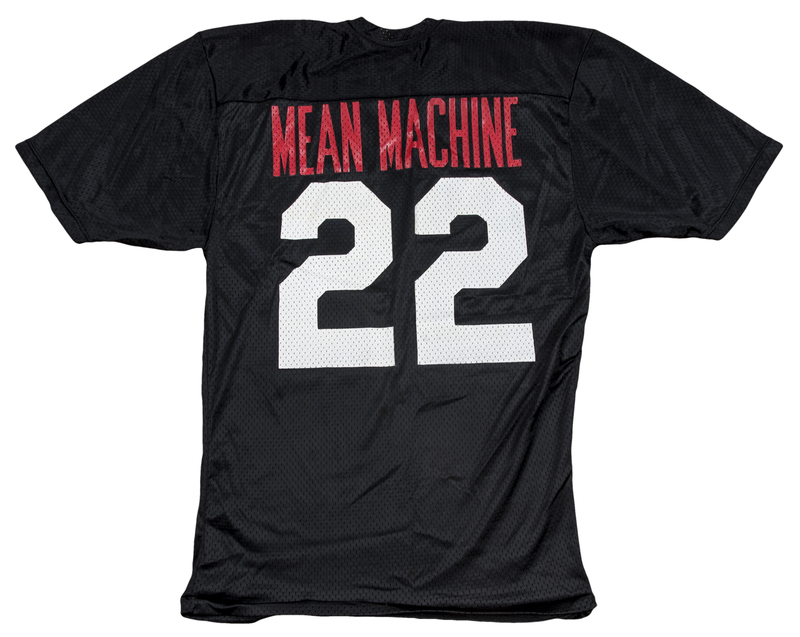 “MEAN MACHINE” is screen-printed in red letters across the back of the jersey. A line of custom stitching is present across the lower chest. 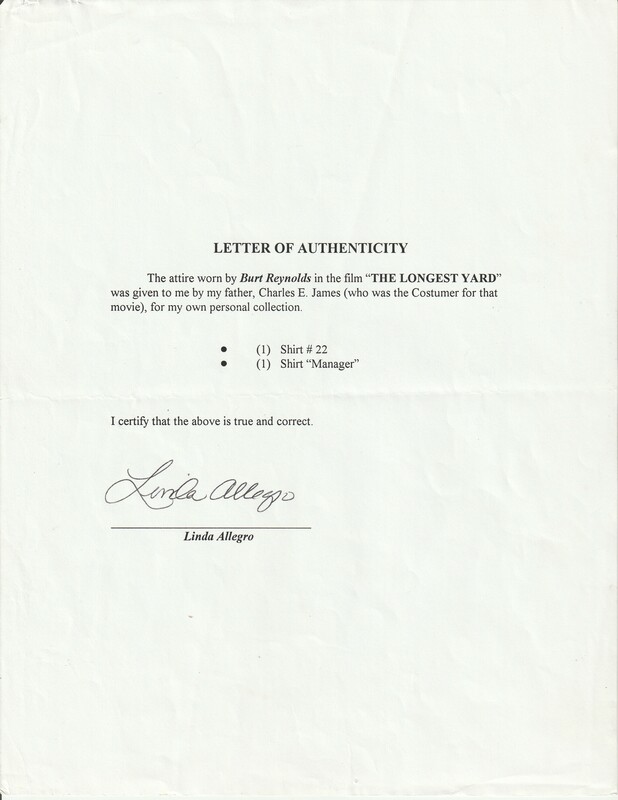 This jersey shows light wear. 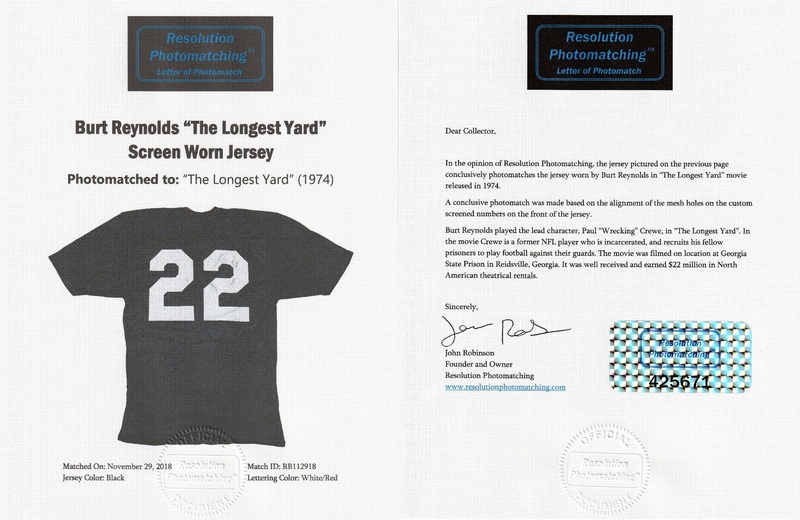 It comes with a LOA from the family of The Longest Yard’s costumer and a LOA from Resolution Photomatching which photo matched this jersey to The Longest Yard.